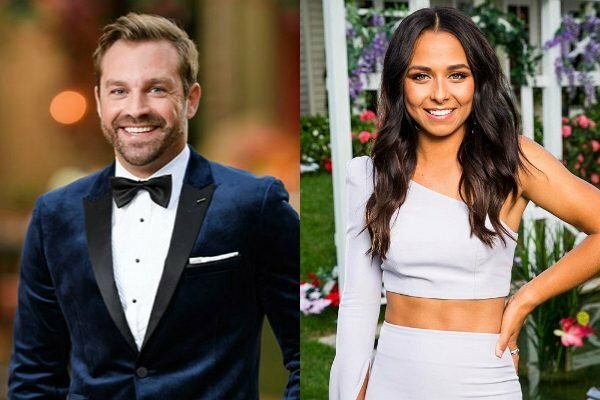 Here are 8 Bachelor in Paradise 2019 Australia couple predictions. Here's 8 wild predictions for who will get together on Bachelor in Paradise. If you thought you’d be rid of reality TV dating shows after Married At First Sight’s Monday night finale, don’t put away your skepticism just yet. 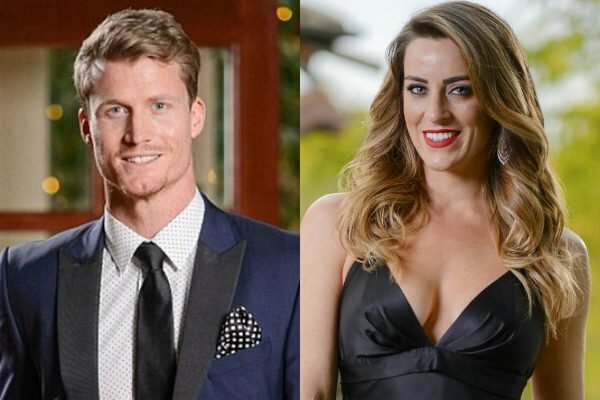 On Tuesday, thousands of us will grab the wine and put out our cheeseboards to watch the premiere of Bachelor in Paradise 2019, the show that brings our favourite former Bachelor and Bachelorette contestants (and the ones we basically forgot existed) back together for a second chance at love. Check out the trailer for Bachelor in Paradise 2019 below. Post continues after video. It’s trashy and in some cases, completely scripted. But if last year’s season is anything to go by, we’re keen. Tenille Favios, from Nick Cummins’ season of The Bachelor. Paddy Collier, from Ali Oetjen’s season of The Bachelorette. Rachael Gouvignon, from Richie Strahan’s season of The Bachelor. Ivan Krslovic, from Ali Oetjen’s season of The Bachelorette. Bill Goldsmith, from Ali Oetjen’s season of The Bachelorette. Brittney Weldon (not Hockley), from Nick Cummins’ season of The Bachelor. James Trethewie, from Sophie Monk’s season of The Bachelorette. Shannon Baff, from Nick Cummins’ season of The Bachelor. Nathan Favro, from Ali Oetjen’s season of The Bachelorette. Brooke Blurton, from Nick Cummins’ season of The Bachelor. 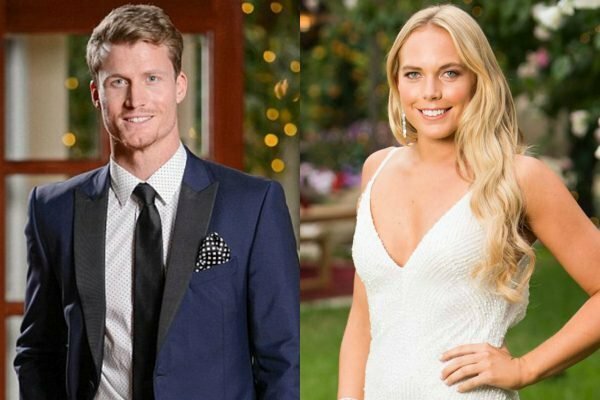 Cat Henesy-Smith, from Nick Cummins’ season of The Bachelor. Alisha Aitken-Radburn, from Nick Cummins’ season of The Bachelor. Cass Wood, from Nick Cummins’ season of The Bachelor. 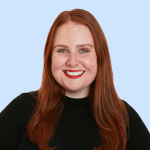 Alex Nation, winner of Richie Strahan’s season of The Bachelor. 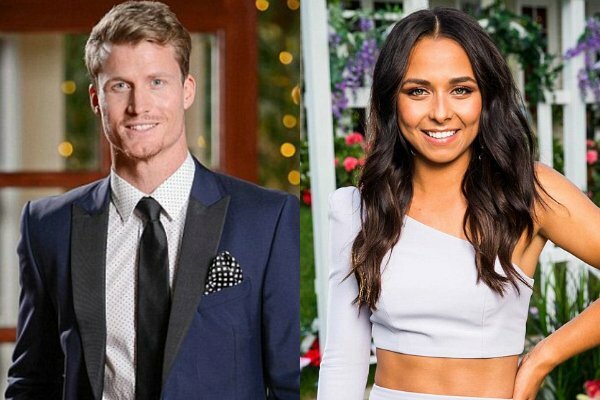 Richie Strahan, The Bachelor season four, and from Sam Frost’s season of The Bachelorette. Vanessa Sunshine, from Nick Cummins’ season of The Bachelor. A random (allegedly American) dude named Alex Bordyukov. So, who will get with who? Will there be any love triangles, or squares, or octagons? And the biggest question of all… will anyone actually form a legitimate relationship that stands a chance in hell of lasting once the mango daiquiris dry up? 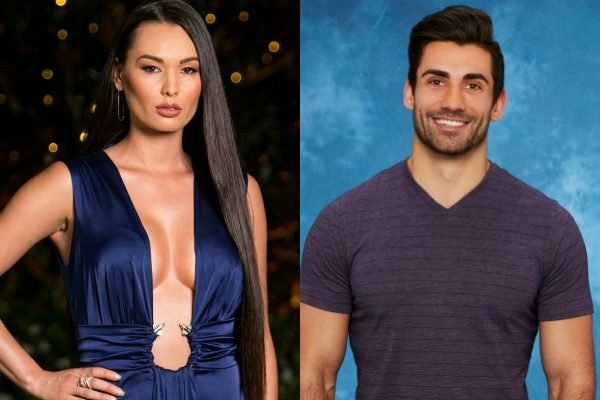 In anticipation of Tuesday night’s Bachelor in Paradise 2019 premiere, we’ve come up with our predictions for the most likely Bachelor in Paradise couples. Call them educated guesses. Or completely made up. Regardless, here’s who we reckon might get together under Osher Günsberg’s watchful eye. James Trethewie and Shannon Baff. Is it just us, or do these guys look really good together? Image: Ten. James was very much the quiet achiever on Sophie Monk&apos;s season of The Bachelorette. His Instagram shows he enjoys getting around nature and being active, and what a coincidence, looks like Shannon&apos;s shares the same hobbies. James and Shannon are both kind of awkward, so we reckon they&apos;ll make a great pair. They can also take each others&apos; beach Instagram shots, which is also handy. James Trethewie and Brooke Blurton. Same same, but different. Image: Ten. As a contingency plan, we feel like James and Brooke could be a realistic couple. 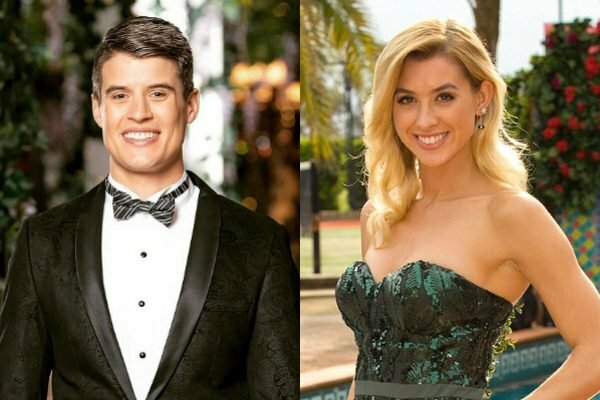 Yes, Brooke is younger than James, but from what we saw of her personality on Nick Cummins&apos; season of The Bachelor, she&apos;s probably too mature for someone like Paddy or Nathan. Sorry guys. Vanessa Sunshine and the random American guy. Aussie men don&apos;t deserve Vanessa Sunshine. Image: Ten. Dunno... Vanessa Sunshine just seems like the kind of reality TV contestant who would end up together with the US export who no one knows. Random American guy - he has a name, it&apos;s Alex - might also find Vanessa savage sense of humour exciting. Ivan Krslovic and Brittney Weldon. WE SEE THIS. Image: Ten. We predict these two will get on like a house on fire because they will most likely be the only ones on the dance floor. Ivan needs someone who will dance with him and reenact his Step Up dreams, and Brittney deserves to be with someone who will appreciate her, zest for life, shall we say. As long as Brittney can make her own avocado smoothies, they&apos;ll be sweet. Bill Goldsmith and Alex Nation. Is this Bach in Paradise pairing inevitable? Image: Ten. 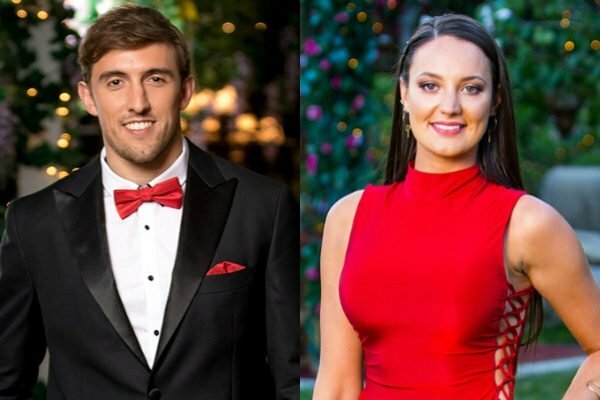 Bill and Alex are only here because paparazzi shots showed them kissing in Melbourne around the time filming for Bachelor in Paradise finished. We could see them together - they both live in Melbourne. But it&apos;d be a bit predictable, wouldn&apos;t it? Paddy Collier and Cat Henesy-Smith. BANTER, BANTER, BALI, BANTER. Image: Ten. These two would definitely give each other a heap of crap, and they might bond over being the villains from their respective seasons. At the very least, they&apos;d have good banter. No word on whether he&apos;s been to Bali, though. That&apos;d be a deal breaker for Cat. Richie Strahan and Cass Wood. If Cass squints really hard, Richie could semi look like Honey Badger. Image: Ten. Promos for the show feature Cass saying she&apos;s interested in Richie, but also, if anyone in Paradise were to be likened to the Honey Badger, it&apos;d be Richie. Yes, he&apos;s got shorter hair and it&apos;s a fair bit easier to understand what he&apos;s saying when he speaks. But Richie has that Aussie larrikin vibe to him. Cass is also pretty drama-free, something Richie is likely looking for after his dramatic breakup with Alex Nation. Richie Strahan and Rachael Gouvignon. Maybe Richie got it wrong the first time around? Image: Ten. This season of Bachelor in Paradise will be Rachael&apos;s third attempt at reality TV love. Following on from Ali Oetjen&apos;s success on her third try, we&apos;re really hoping things will go Rachael&apos;s way in 2019. 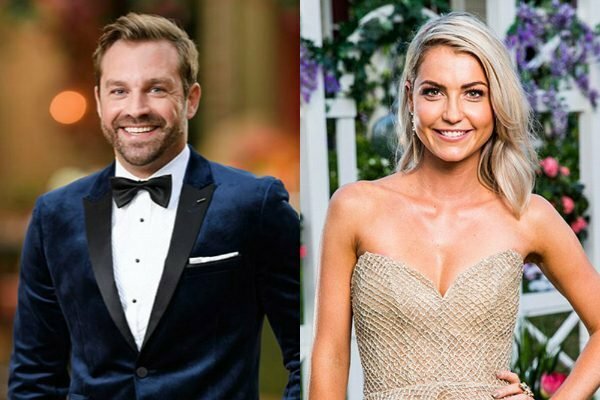 While there&apos;s a good chance Richie and Rachael&apos;s past &apos;relationship&apos; on his season of The Bachelor will be too hard to come back from, they did make a pretty good pair back then, and they both live in Perth. Who knows... maybe they&apos;ve both done some soul searching since 2016 and might be ready to pick up where they left off. Buuuuuut in saying all of this, we really have no clue who will have the hots for who on Bachelor in Paradise. 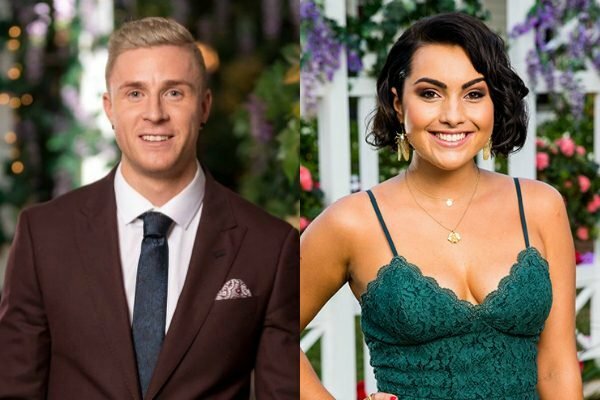 As the series goes on, more contestants will join the cast and could very well throw a spanner into our shaky predictions. The only constant in this goddamn franchise is Osher and his hair, and sadly, they&apos;re both taken. Bachelor in Paradise 2019 premiers on Tuesday April 9 at 7:30pm on Network 10. What do you think of our Bachelor in Paradise couple predictions? Will you be watching this season?